I'm a long time lurker, first time commenter. 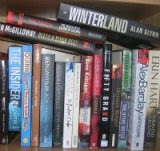 Based on all the reviews you've made of books I've also read, it seems our reading tastes are very similar. So I was surprised that you didn't like one this more. I thought it was a great book (although I didn't care much for the sequel). Anyway, I enjoy your blog and look forward to your reviews. Hi Ray, this was a very solid 4 star review for me except for two things that held it back. The first was the naivety and unworldliness of Leo, which given he worked for the MGB didn't seem credible. The second was the resolution which was a huge contrivance, and whatsmore was not needed. It really worked to undermine the credibility of the plot. So, I did enjoy it, but it had its frustrations, especially the ending. Awesome blog! 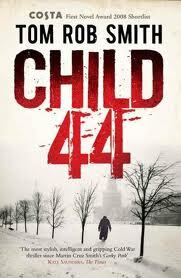 I agree with your review of Child 44. I halfway told myself it was based in fact. I had to break that illusion with the nature of the twist your referring to and the nature of the hero as you point out. For some reason that is how I enjoy novels more, if they are somehow based in truth. Do you have anything to recommend that mingles the underworld of crime with some truthfulness to the story? Cheers!